So in my last sock update I said that I wanted to find a sock yarn which wasn’t so much, wacky but rather dapper. 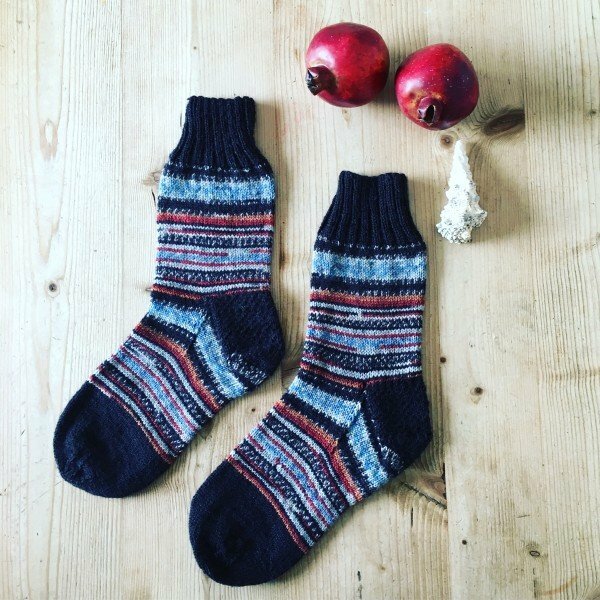 Elegant socks, unassuming socks might seem a bit boring to knit. 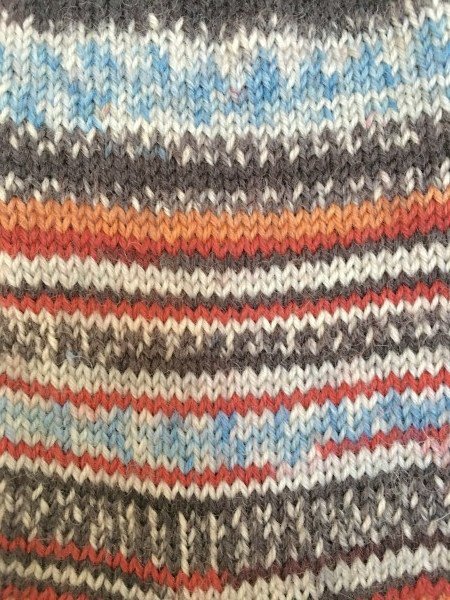 Colour and jazzy patterns really do get the needles clicking. However I must admit I have often thought that I would find it difficult to wear many of the sock yarn colours to work. I was on a mission to find a colourway that would be acceptable to elegant gentleman. Fortunately the German company, Regia, have designed some understated but stylish patterned sock yarn. They colourway I bought was Fall in their Pairfect 4 ply sock range. These colours have been chosen by Scandi heroes, Arne and Carlos. 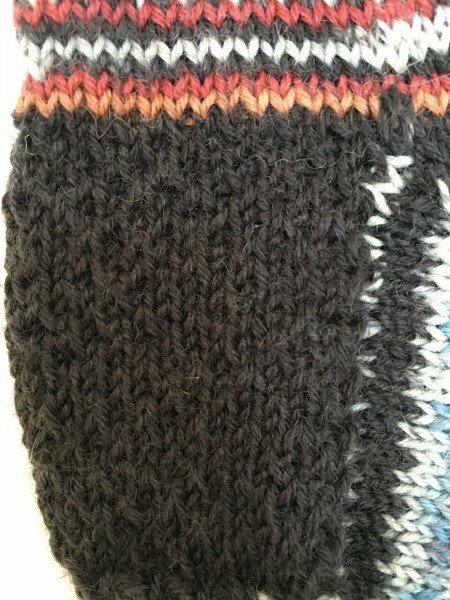 I do really like this yarn as it has the ingenious ‘Easy Start’ system. 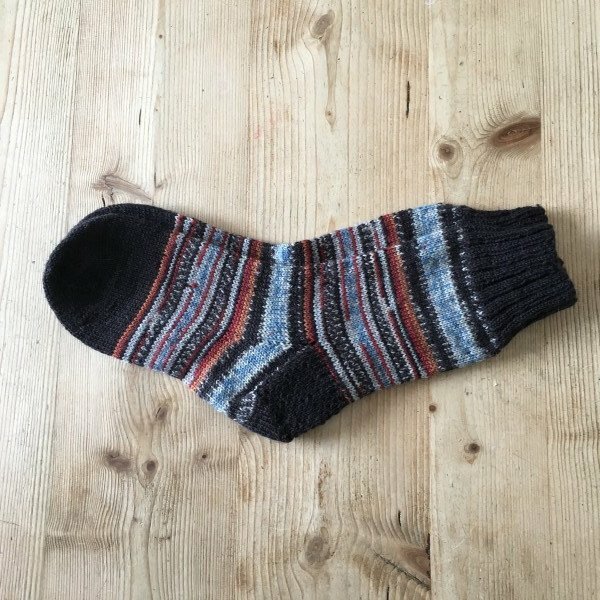 There is a contrasting yellow line which you use as a marker at the start of each sock and allows you to knit two identical striped socks from one ball of yarn. If you look at the knitting the stitch looks very fine, 4 ply does seem very thin but for comfortable everyday socks 4 ply is ideal. It is worth looking at the video tutorials by Arne and Carlos to see how the yarn works. It hasn’t taken me two long to knit both socks. I said to you before I couldn’t quite ‘get the point’ of knitting socks. But my friend Christine who is a sock guru explained to me that socks are the ideal ‘in your pocket project’. I must say I have kept my socks in my handbag and every time I have been sat waiting for B, either in the carpark or during an after-school class I can do a few rows. This time I used Christine’s Winwick Mum 4ply sock tutorial to ensure I learnt how to do a short row shaping heel technique. I also went a bit jazzy and chose ‘Eye of Partridge’ as the pattern for the heel flap – FANCY! My speed and boredom has been greatly helped by using lovely short 25mm circular needles. 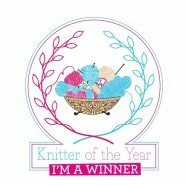 It makes my knitting so much faster. Christine has said that if you are going to wear your socks, there is really no need to block your socks. She is right ofcourse. However I am going to give this pair as a gift and I think they look really nice when they are blocked. Instead of buying expensive sock blocking shapes I made my own by cutting out the shape from some stiff plastic. Once all the ends were weaved in I thoroughly dampened the sock. 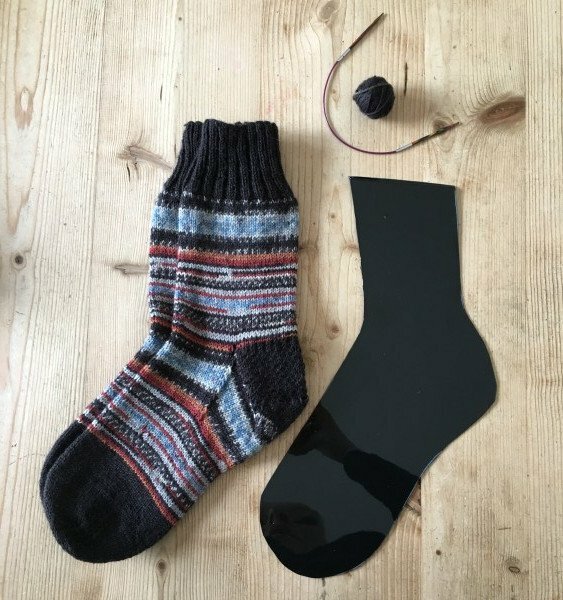 The sock is then placed over the sock shape and then let it dry. Crazy woman that I am, I now fancy designing my own pattern. I like the idea of seeing if I can make a pair of weekend socks for myself. I would really comment Winwick Mum’s blog. She is the Queen of tutorials and I have been checking in with her guidance as I have gone along.